Exciting news! 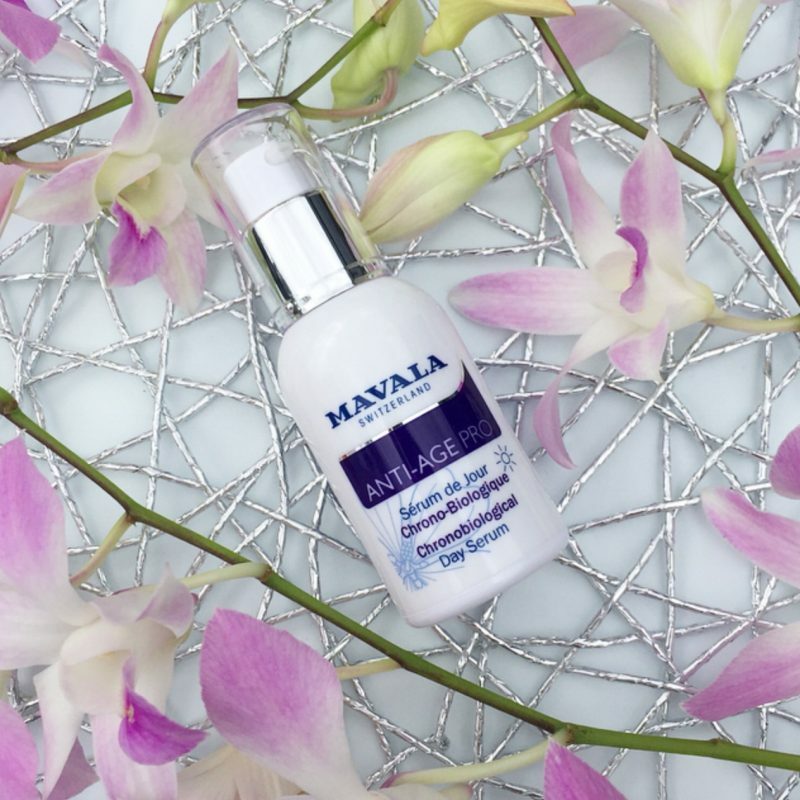 Swiss brand Mavala, already well renowned for their amazing quality nail polishes which contain no nasty ingredients, has now launched their new Mavala Swiss Skin Solutions collection in Australia. 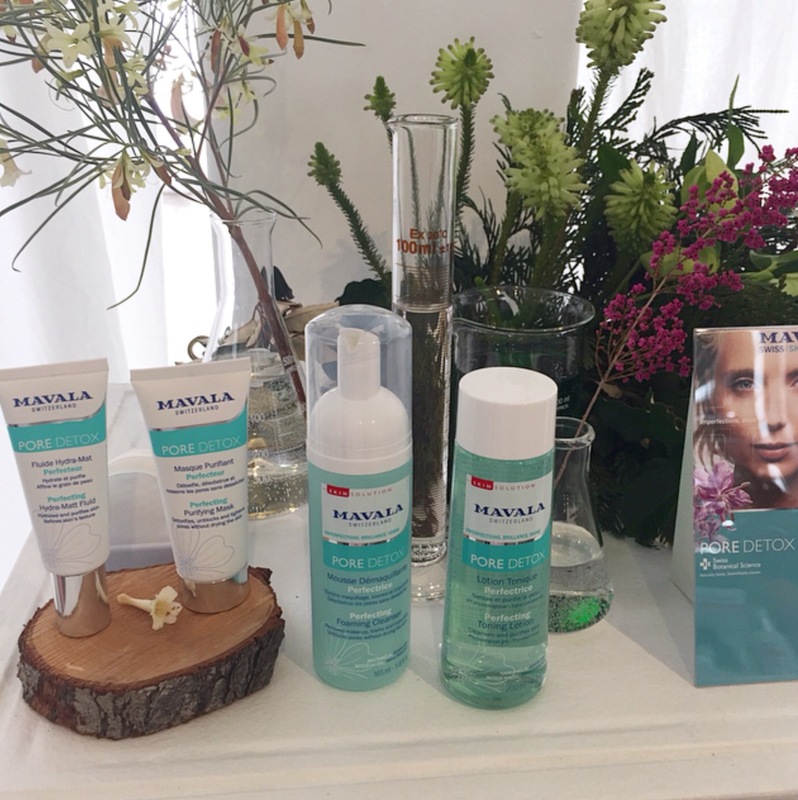 I was lucky enough to attend their recent media launch and receive some personally tailored PR samples to enable me to provide you with the following Mavala skincare reviews. Click HERE to read a review of the Mavala Cyber Chic metallic nail polish range. Click HERE to read a review of the Mavala neon-like Bubble Gum nail polish collection. Clean & Comfort – a line of cleansers. The beauty of these five ranges is that you can mix and match products from all five ranges to tailor a specific regime to meet your exact skincare needs. Read the Mavala skin care reviews below to see which products are most appropriate for your needs. Mavala Clean & Comfort Cleansing Milk. Swiss Mallow Flower – ultra-resistant, flourishing where few other plants can survive & well known for its calming properties. Also rich in glucids & minerals providing unique dermo-soothing properties. Pure Water From The Swiss Alps – Every product in the Mavala Swiss Skin Solution line is formulated with a natural mineral water from one of the highest sources in the Swiss Alps in an area totally pollution-free. Alpine Water is of the highest purity, it is bacteria-free & has a perfectly balanced composition of trace elements. Alpine Rose – a precious anti-ageing ingredient which boosts cell repair & rejuvenates skin. Swiss Apricot Extract – rich in fibre, potassium & iron. Ideal for toning & energising the skin for a healthy glow. Alpine Willoherb – a purifying plant, rich in antioxidants & calming properties. Pure Hyaluronic Acids – of 3 different molecular weights for intensive hydration through all the epidermal layers. Advanced Lipo-amino Acid – to reinforce the natural collagen network of skin. Vitamin C – with progressive release offers powerful antioxidant protection to all skin types. Antioxidants and synchronising Chronopeptides – able to mimic the natural daylight’s benefits on the skin. Micro encapsulated AHA – for optimum release into the skin. Ultra gentle Micelles for efficient & gentle cleansing and removal of makeup. 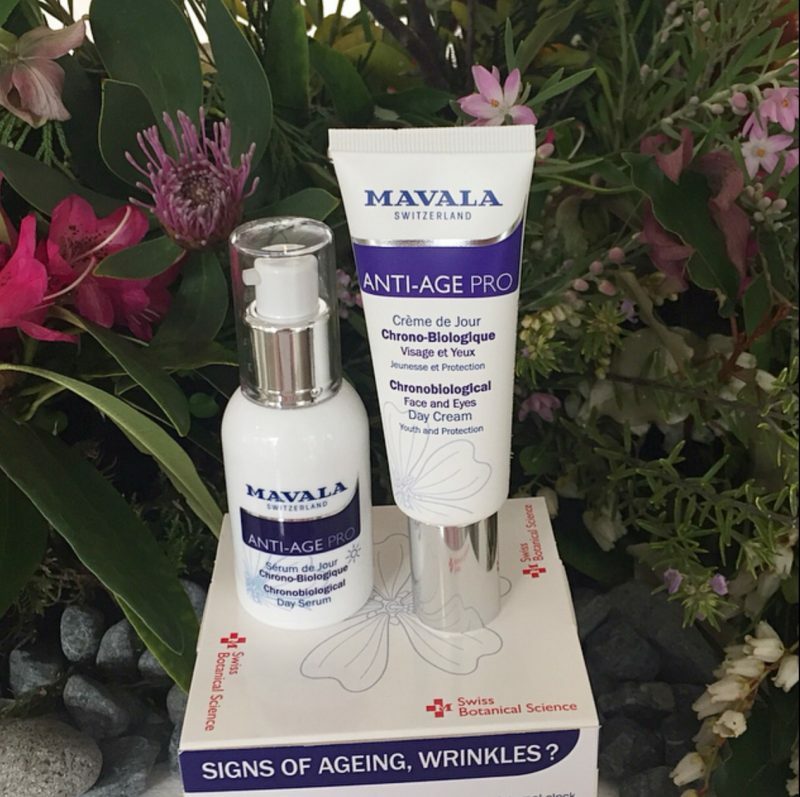 The Mavala Skin Solutions Anti-Age Pro range is for skin showing signs of ageing and wrinkles. The products in this range are formulated to protect, repair and correct all key signs of ageing. This is something my maturing skin definitely is in need of! There are two products in this range, the Chronobiological Day Cream and the Chronobiological Day Serum. I received the Mavala Chronobiological Day Serum from this range. This day serum has the consistency of a gel lotion, feels lightweight and absorbed straight into my skin. It is rich in antioxidants, synchronising Chronopeptides, rejuvenating Alpine Rose stem cells and Silicium. It helps protect skin from daily stresses, preserving its youthfulness. 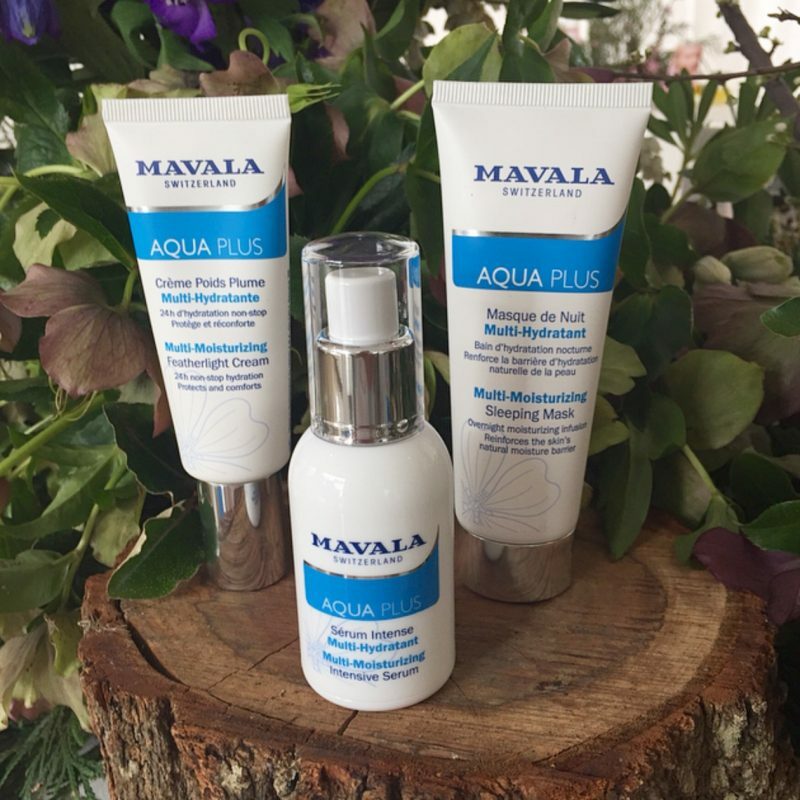 The Mavala Aqua Plus range is targeted for dehydrated skin. The products in this range are formulated with pure hyaluronic acid of three different molecular weights to penetrate all epidermal layers of skin to intensely re-infuse it with moisture. 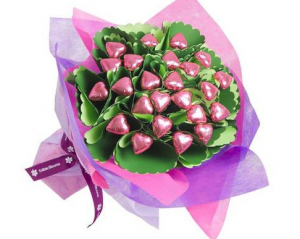 These products are also rich in dermo soothing Swiss mallow flower to help regain skin comfort and suppleness. The three products in this range include an Intensive Serum, a Featherlight Cream and a Sleeping Mask. I received the Mavala Aqua Plus Multi-Moisturising Featherlight Cream. I like the pump dispenser hidden under the silver lid of this product which I wasn’t expecting before opening the product. I found this featherlight cream to be lightweight and soak quickly into my dehydrated skin. The moisturising benefits felt long lasting and my skin felt comfortable, soft, supple and plumped all day after application. 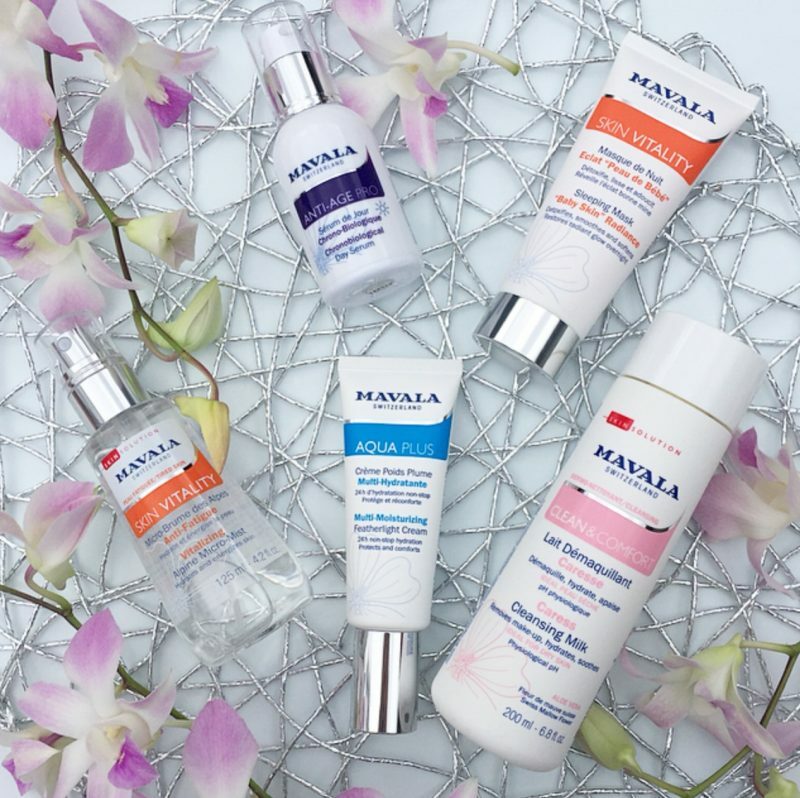 The Mavala Skin Vitality range consists of five complementary products that offer skin solutions to tired, dull skin helping you regain an energised radiant glow. This range includes a Healthy Glow Serum, Healthy Glow Day Cream, “Baby Skin” Radiance Sleeping Mask, Alpine Micro-Mist and Micro-Peel. These products all contain concentrated revitalising Swiss Apricot extract. The vitamin enriched products in this range tone, hydrate and restore brightness to dull skin. This once again is exactly what my mature skin needs. I received the Mavala Skin Vitality Alpine Micro-Mist. You simply spray this mist on after cleansing your skin in the morning or at any point of the day at the first signs of fatigue. This mist is enriched with moisturising apple water and decongesting cornflower water. I found it left my skin feeling wonderfully refreshed, soft, hydrated and energised. It is the finest mist I’ve ever used and soaks straight in. I’ll be keeping this mist in my fridge for an extra cooling sensation, and I forsee myself using it a lot throughout the warmer months, especially during Summer. I love the healthy glow it provides. 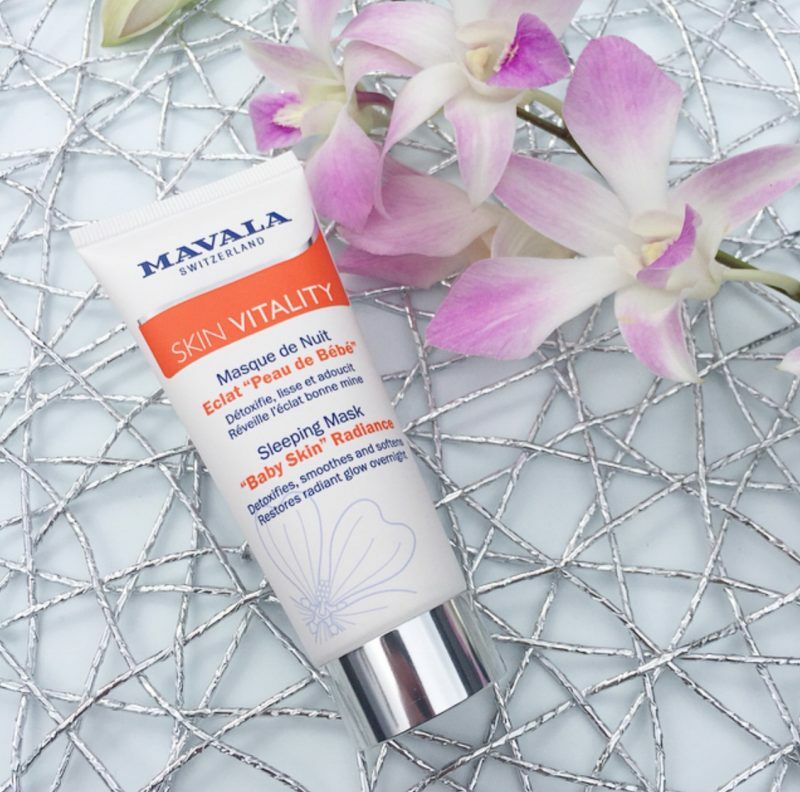 The other product I received from this range is the Mavala Skin Vitality Sleeping Mask. This to me is one of the Mavala skin solutions hero products. It combines micro-encapsulated Glycolic acid (AHA) and Salicylic acid (BHA) and gently eliminates dead skin cells and encourages cell renewal as you sleep. It dramatically improves the skin’s texture and restores a radiant glow. After applying this to my face before bed I wake up with beautiful radiant, velvety smooth skin in the morning. I absolutely love this product! It is perfect for combating the skin effects of a lack of sleep, stress and pollution. 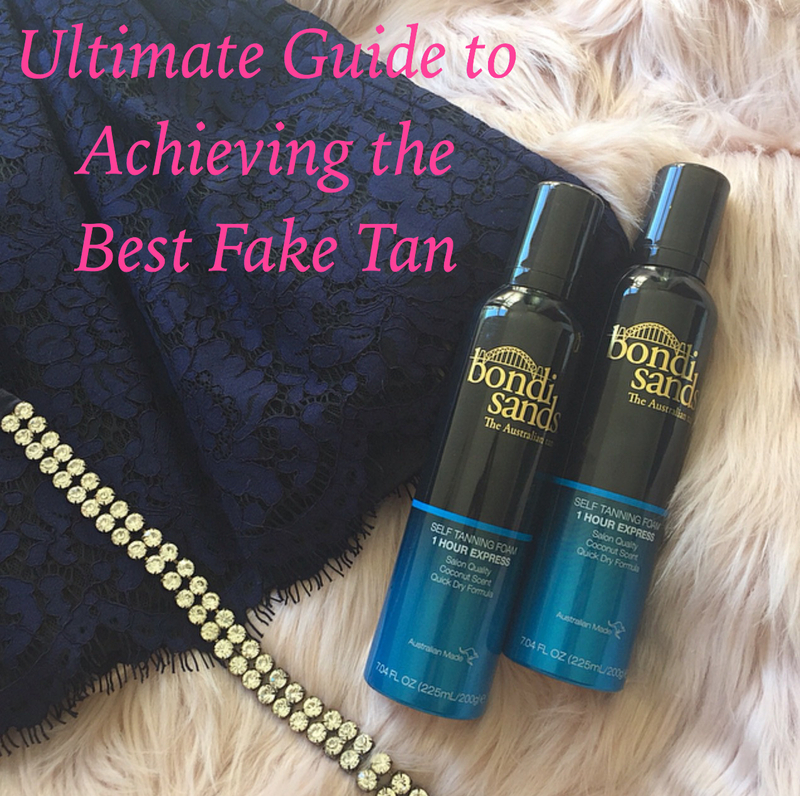 You can also use this product as a rinse-off mask for an instant glow but I prefer using it overnight. The Mavala Pore Detox range consists of four complementary products aimed to improve your skin’s texture by refining and minimising the appearance of your pores. These products contain concentrated purifying Alpine Willowherb which counteracts skin imperfections and shine. This range includes a foaming cleanser, hydra-matt fluid, toning lotion and purifying mask. As my mature skin is dry as opposed to oily I did not sample any of the products in this range. 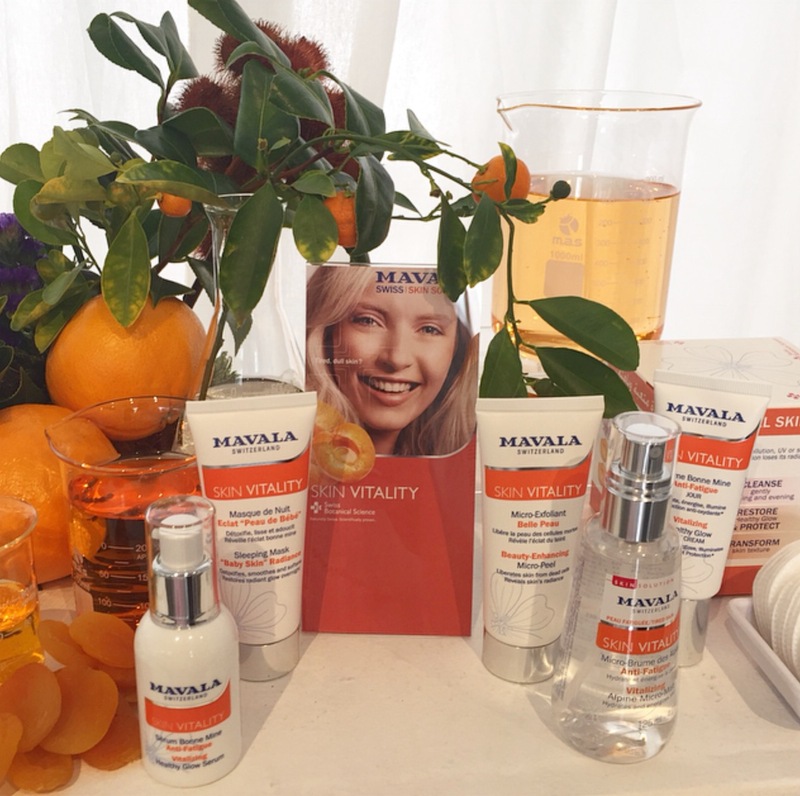 The Mavala Clean & Comfort range is developed for effective facial cleansing. All the Clean & Comfort products contain pH balanced formulas with the same pH as skin. The products are formulated to cleanse the skin from all impurities and help it regain its suppleness and comfort. This range consists of Alpine Softness Micellar Water, Caress Cleansing Milk and Caress Toning Lotion. 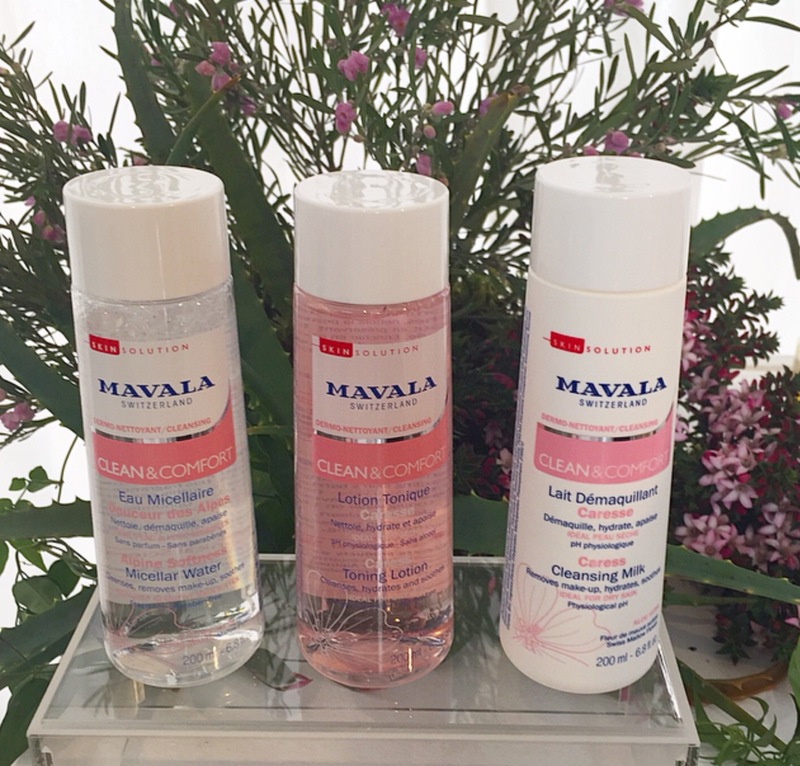 I’ve been trialing the Mavala Clean & Comfort Caress Cleansing Milk. This Cleansing Milk is rich in aloe vera and I found it effectively removed my makeup gently and soothingly. The milk formula is also moisturising to the skin and didn’t strip my skin of its natural oils. 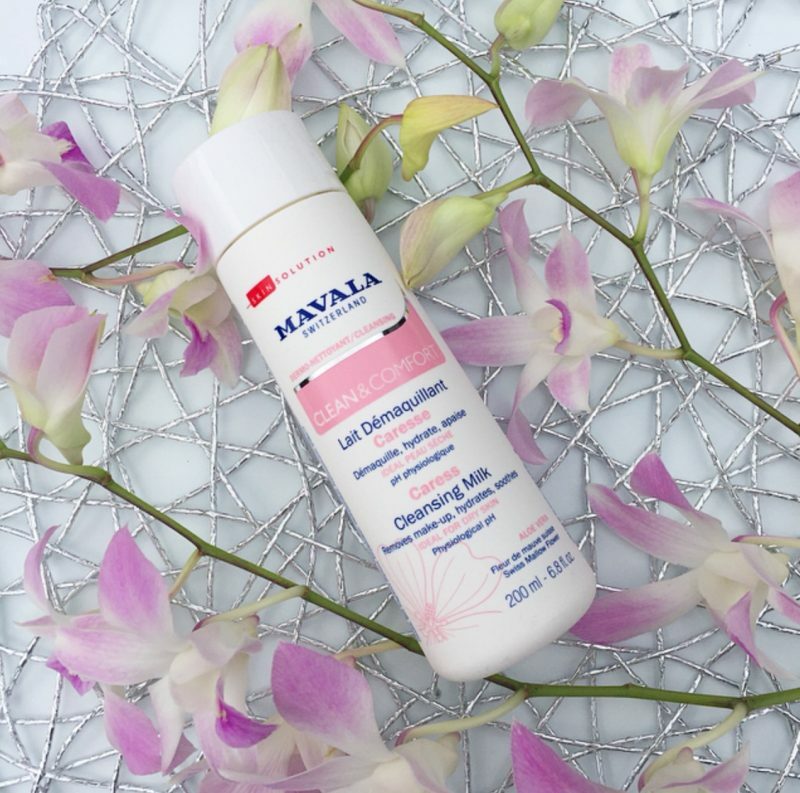 Mavala’s Clean & Comfort Caress Cleansing Milk is the ideal facial cleansing for dry skin. Thank you so much to Mavala Switzerland Global Managing Director Doris Maute and Mavala’s Tanya Roberts for walking me through Mavala’s innovations in skincare, explaining the Swiss botanicals behind the range, my sit-down skin consultation and resulting tailored skincare regime to suit my skincare concerns. If you’re wanting to know more about Mavala Swiss Skin Solutions and purchase your own tailored skincare regime click here to visit the Mavala website. 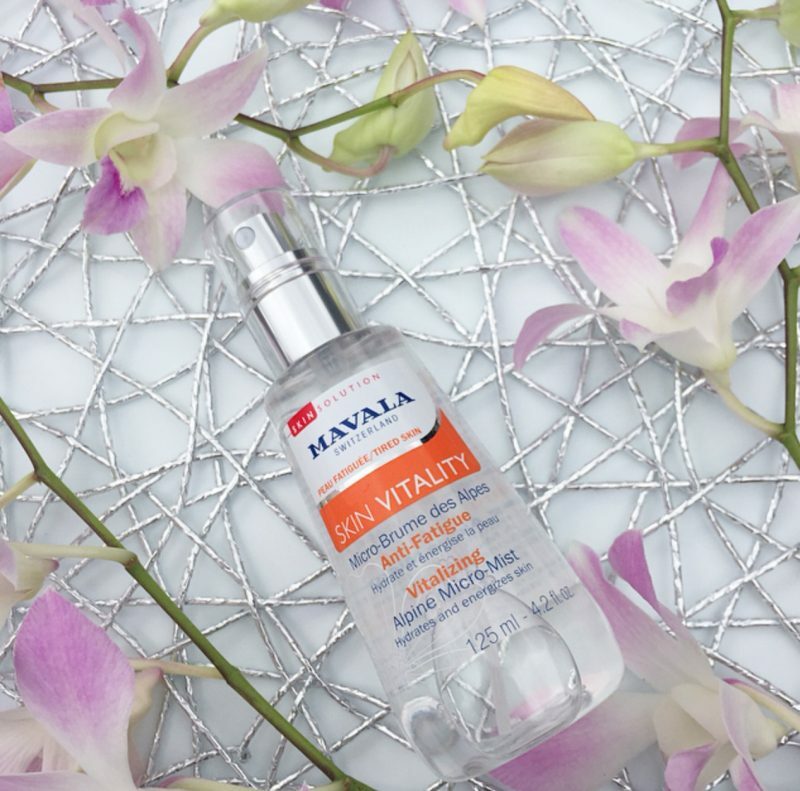 Have you tried Mavala skincare yet? Or Mavala nail polishes? 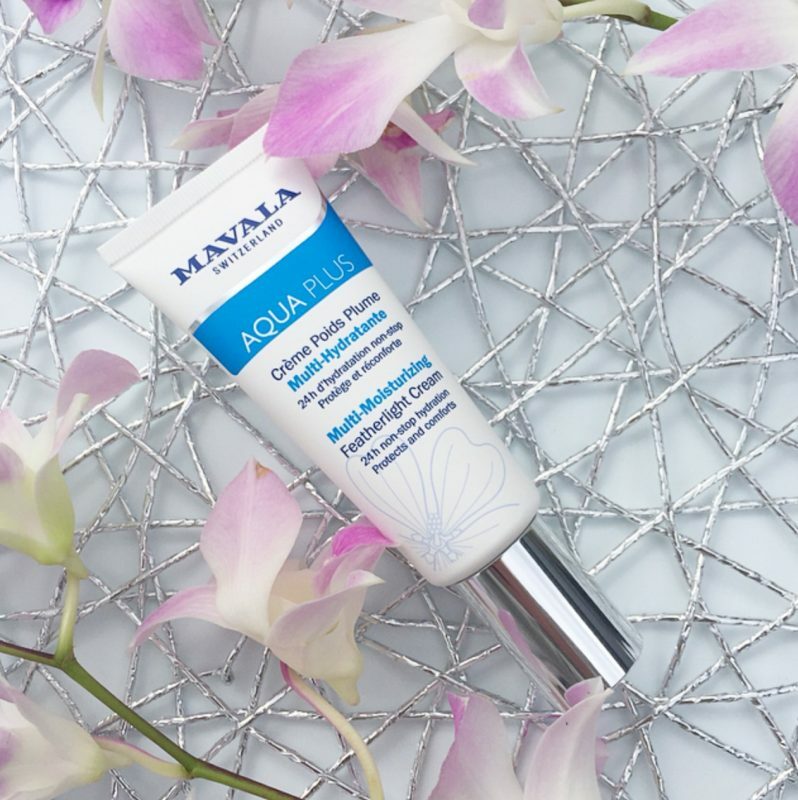 The The Mavala Aqua Plus range sounds right up my alley. And the mist sounds divine and light weight. Ohhhh what a great collection, looks like they’ve got something for everybody’s skin needs! I like the sound of these products, the two that stand out for me are the Anti-age pro Chronobiological Day Cream and Day Serum. I have used Mavala’s nail polish before and I am now keen to try their skincare range. I love the sound of the Mavala Anti-Age Pro Day Serum. 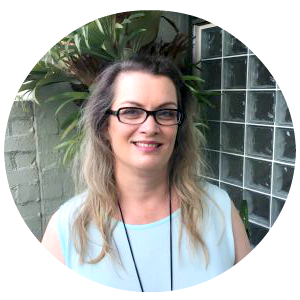 I’m in need of a new anti-ageing serum and I enjoy the feel of a lightweight gel formula! So excited about these ranges. I have a couple of bits and pieces that I’m excited to try, but I think I want to pick up that sleeping mask. It sounds amazing!